Liczba stron: 359 Jest to ujednolicona liczba stron, która ułatwi Ci porównanie długości książek. Każda strona Legimi to 200 słów. A man goes through the journey of cancer: his real story it’s a shared experience about how to choose to live in truth and honesty. 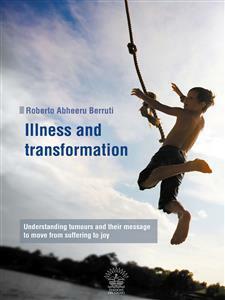 Inspired by life lessons of Claudia Rainville, Richard Bandler, Osho and much more, the holistic therapist Roberto Abheeru Berruti tells us that illness is not a condemnation: it is an opportunity to direct our own person towards a creative life approach and find out that life pulsates strongly into the illness. With simple, powerful and throbbing words, Berruti stimulates the will to heal, first of all as a person: and shares with us several awareness exercises and a practical healing map. A New Life: And After I’m Cured…? the adventure of reinventing myself as a writer to communicate some of my life experiences started in January 2010 during a three-week intensive hospitalization at the University General Hospital in Verona. I was undergoing chemotherapy trying to heal from Hodgkin’s Disease that had apparently been cured three years previously and was now active once again. One day in particular while I was writing this book, when the doctors’ reports were making me feel desperate, I suddenly understood that I was writing for myself. I realised that I had never actually done many of the exercises that I was suggesting in my manual, and that some of the words of advice and suggestions I was giving were things that I had never actually experienced. That same evening I felt an urgent need to re-read what I had written: at that time, I was spending several hours a day writing and I did this by going into a sort of creative trance, at the end of which I hardly remembered anything of what I had put down on paper. That evening I felt an urgent need to re-read the instructions I had given myself through the manual (had that really been me?). I knew that the answer was in those pages; the sign that indicated the path that led to my healing, and I was honestly scared at the idea of seeing the evidence. Understanding that I was capable of transforming the lymphoma in my body and putting it in to remission also meant understanding that I was the one who had generated it in the first place! The freedom to be healthy and happy was in my hands and that freedom scared me and made me feel insecure. Who was I without that self-destructive mechanism at work? I recognised myself as Roberto, or Abheeru, in an age-old inner battle, regularly hurting himself, regardless of how uncomfortable and un-nurturing it was. Now, right in front of my eyes I saw a new expression on my face: no more looking tense and suspicious as though I was waiting for some kind of danger (probably of my own making…) but innocent, curious and open to receive life with all its surprises, and ready to welcome them without any further due. Through my illness I found the opportunity to begin a new life. I felt like a new born child, and I understood that I would have to take care of that baby myself, and carry it around in the world safe in my arms. This manual tells the story of how, thanks to the illness, I embarked on the road to my personal freedom. I have decided to leave the writing in its original version, just as it came to me. It describes my journey: it starts from a cold, precise mind full of convictions and passes through suffering; and, driven by my insatiable burning desire to live in complete freedom, leads to a rebirth. I needed to empty myself of the tide of intense emotions and experiences that I was carrying with me from my past, and which I was still hanging on to. I needed to be with myself, to look after and talk to myself. I was my own guide, and through writing I had become my tutor, parent and therapist all at the same time. In these pages I share my detoxification journey from the mental dependencies that I had nurtured for forty one years, and which had brought me to the peak of my personal mountain of suffering. I believe this book could prove useful to anyone who has lost their “joie de vivre” and is not necessarily only for those who are facing the experience of cancer like me. Incidentally, I must remind you that I am neither a doctor nor a psychologist; I am just a person who has followed a specific path in life and now, in sharing it, finds a meaning to his own existence. You will notice how initially I use a firmer, more decisive tone in the way I give the instructions; at the beginning of my detoxification journey I had to make a choice, I had to put my back up against the wall and to discipline myself. One of the main characteristics of addicts is that they become expert at being uncatchable and at slipping away from conscious decisions and responsibilities. I was a master at this “distancing” and the drugs I used to feed my dependence were my mental convictions which I also used to generate my own unhappiness. I myself was a sort of addict and I had to make a huge effort to get out of that state and finally force myself to make some healthy decisions. Another reason that pushed me to be firmer with myself from the outset was the fact that I unconsciously knew that I was entering an unknown world that scared me and meant that I had to be strong. This is why you will find more exercises to do in the first part of the book; exercises that I myself have had to practice and repeat many times to train myself and strengthen my “inner muscles”, as well as to reinforce my trust in facing up to every aspect of the situation that I was living. In some places I address “you” (that is me) in a very direct way. I would like to suggest that you filter that cutting attitude that I used and change it to suit your taste. I invite you to appreciate my intention in adopting this approach and try to by-pass any language issues that might arise. You will later notice how my tone of voice gradually softens: once I had begun the work personally and saw that I was truly committed to the task I was able to become a more kindly tutor, having dismantled the destructive mechanisms and finally entering into the last phase which is loving and creative. My way of communicating becomes almost poetic. The last part is written in real time, almost like a diary, and so, is full of fresh emotions and is less ponderous. I have deliberately left the discrepancies in style and rhythm in my writings so that my feelings and sensations during the various phases of my healing remain perceptible and tangible to the reader, and also because I believe that they represent the path that many human beings have followed, and will go on following in order to learn how to dance and celebrate life. The end of this book is there… and yet it isn’t! I know that I’ve attained my goal of eliminating a long series of conflicts and battles from my life; both internal and external. I know that I have learnt how to keep my distance from that infernal machine made up of negative judgements; both directed towards myself and towards others. Substantial transformations have taken place within myself which have opened me up to love, so I can affirm that this manual has worked very well on me, but I can’t say where the end of this book lies as I really do not know. What I do know is that now my life has a wonderful sense of continuity, and I wake up every morning curious and ready to be part of a new day. I must underline the fact that this book was written and finished before my physical healing process was completed; because of the book I’ve stopped worrying about the lymphoma and I’ve tuned into a new life of harmony, joy and abundance. A new life which I’ve strongly desired; a life that I have been calling out to with the words written in this manual. I want to point out that some words you will meet frequently in this book may lead to misapprehensions and misunderstandings: terms such as “soul” or “healing” are often used in this New Age, but there can be different interpretations given to them and often depend on the author’s and readers’ educationor spiritual path. When I use the term “soul” in this manual I am referring to that part of ourselves that lives in our body; that perceives it, observes it and commands it. The part of us that is able to watch our thoughts arriving and disappearing; the part of us that knows how to think knowingly. By “soul” I refer to that which in some traditions is called our “true self” or “spirit”, “the one who inhabits the body”, the dwelling place of silence and of peace. The soul knows how to achieve evolution; therefore we must get in contact with it, in order to find our healing path. Our soul is often limited by education and conditioning, and ends up trapped in a cage of judgements and imposed behaviour; our work is to free it from that imprisoning structure and to listen to its guidelines. Meeting our soul we are at “home”; we generate integrity and harmony. I use the term “healing” with two meanings: obviously I am referring to the physical healing of your body, but in my experience this is not completely possible without healing that part of ourselves that was sick in the soul as well, which was linked to the disease. Life teaches us how, in many cases people can be suffering from serious pathologies when, all of a sudden, they manage to completely free themselves from the illness. These people tell of how they lived through an experience of deep inner transformation associated with the disappearance of the illness, and of how this transformation in its turn was associated with a moment of great clarity and with a life-changing decision. In other words, a shift happened in their soul, and they had decided that it was time to change and to replace old and unhealthy attitudes with something new and healthy. These people have come out of an old way of thinking/behaving and have generated a new one. It has not been scientifically proven, but I am absolutely convinced that the body and the soul always work together as a team, and the healing of one isn’t impossible without also healing the other. It is important to underline the fact that not every ill person will manage to heal their body, maybe because they don’t have enough time to do so, or maybe it’s just the way things have to go. However, there is no doubt that every ill person has an incredible opportunity, quite apart from the number of days they have left, and that is the chance to go towards their last day living in happiness; free from past burdens, free from the conflicts they carried inside themselves and within their relationships, joyful after having expressed words that for years had never been said. So first and foremost occupy yourself with the healing of your soul, it will give you a profound sense of wellbeing; a marvellous feeling of interior completeness and peace that the body, if time allows, will follow. The way I see it, “the healing process” doesn’t depend on the quantity of time you still have left to live, but it is a question of quality time: learning how to enjoy every second of life at your disposal as though it were your very last, is what I mean by true healing. This book really has the potential for transformation, but it will only work if you do the exercises that you will find at the end of certain chapters. What I am deliberately striving to make you understand, right from the start, is just how important it is for you to have an active, dynamic and aware attitude towards the way you are living your illness. By “active” I want to remind you that in any physical situation you find yourself in, you can always generate and activate pleasant and positive thoughts and images. By “dynamic” I want to remind you that you have a creative potential at your disposal that you can use to change situations, allowing you to eliminate old counter-productive behaviour in your present everyday life, and to create new ways of being. By “conscious” I mean that you should develop a new, reliable and loving attention towards yourself; an attention that is aimed at improving yourself as a person, an attention motivated by your wish to say “That’s enough!” to some of your old, useless behaviour, focusing your attention on your ability to choose and to decide. The exercises I suggest you do are aimed at stimulating all three of these aspects: in my own experience I have found that all three of these qualities have to be present at the same time in order to be really effective. So from this moment on, you should know that if you really want it to be, then your illness or unhappiness can become a great transformative experience and a path to self-consciousness. It also means that if you don’t get down to work in an active, dynamic and conscious way, then most probably the illness itself will become your Calvary. If you choose to carry on reading this book then you should commit right now to this potentially transforming and creative work. The indications in this manual will help you to transform your situation and the quality of your behaviour, and in this sense your participation is fundamental. Remember that doing the exercises is a time of creativity that will be extremely useful to fill in the empty moments you will encounter in your life (especially in the case of an illness),which create anxiety. I can only give you indications; it’s up to you to use them as best you can. My advice is that you should read this manual in a quiet context where you can spend time with yourself, without distractions, so that it becomes a ritual; a daily appointment with yourself that you cannot do without. Get a new exercise book or note pad that you will use exclusively for these exercises and for your notes. In many of the exercises you will find a row of dots like this “…………….” which indicates that you should take the necessary time to feel whatever it is activating inside you: it indicates that the speed of the soul and the body don’t coincide with those of the mind, and that you must allow yourself this pause for the sedimentation process to take place in order for the exercises to take effect. With time, the state of wellbeing generated by the exercises will radiate out through the system: eventually the techniques won’t be necessary, as they will have become a new and consolidated way of perceiving, feeling, and thinking about yourself; their benefits will start to appear automatically. This manual is intended to be used in an active and pragmatic way. My intention is to immediately give you a taste of what you yourself are able to generate from a situation that, as in the case of an illness, is usually interpreted in a negative way. THE BODY. A conscious connection with your body, which means re-learning to feel your body and following its indications. We were all born fully connected to our bodies, so what we are doing here is reactivating our ability to perceive it, and then consequently, committing ourselves to respecting it.THE WILL TO CHANGE. This refers to your desire to be healed, not to go back to being the person you were before but to be reborn as a new human being. Illness is like a red traffic light, forcing you to stop, and telling you that something in your “house” (your soul-body-mind system) hasn’t been working very well and must be identified and replaced with something new. Your will to change will motivate you to become more aware of yourself and of your actions.DEDICATE TIME TO YOURSELF. The art of observing and dedicating time to yourself must become an absolute priority. You will need this time to watch yourself close up; to explore yourself and to understand where you need to improve (and thus change) your attitude towards yourself. If you seriously dedicate time to yourself, to your body and to your current life situation, then you will learn that one can live any situation with quality and dignity.LOVING YOUR SELF. Respect for yourself as a person: if you concentrate on yourself with all your love, just as though you were caring for one of your children, then you will generate the most powerful medicine in the world; love for oneself. This love for yourself will become the motor empowering your change, helping you to find the strength and the courage to be reborn. That love will make your relationship with yourself incredibly light and wonderful. Don’t worry for the moment about the meaning of the four ingredients: just worry about memorizing the words, one by one, taking them as though they were mosaic tiles and placing them in your brain, or, if you find it easier then you could learn them systematically just like learning your tables when you were at school; reading and repeating again and again until you’ve learnt them off by heart. It might be useful for you to photocopy the page of the ingredients and pin it up somewhere visible so that you will see and re-read it repeatedly during the day. You will gradually achieve a true understanding of the ingredients by doing the exercises: like any other transformation, healing happens step by step and while it’s best not to worry too much about the final result, it is crucial that you take the first step…. Don’t try to heal yourself just to survive as it won’t work: your body might get better for a while, but if you weren’t happy before getting ill then you won’t be happy afterwards. Even if your body should improve to some extent, it will probably get ill again. Try instead to follow what the recipes suggest; you will drastically increase your chances of healing not only the body, but your soul as well, and therefore of finding your own personal recipe for happiness. Then you will truly start living your own life. Introducing you to the basic recipe at the beginning of this book is a deliberate trick: you will only be able to make those ingredients work through complete application and dedication to your person. You will have to work seriously, being ready to eliminate parts of the person that you thought you were, and to discover new aspects of yourself. If you think that reading and understanding the ingredients is enough to improve your life situation, realise that you are fooling yourself. If you want to bring your healing mission to a successful conclusion then from this moment onwards you must make a commitment to yourself, and more than anything else, you must stick to it. Like many people (especially in the western world) I too forgot that I had a body and what it meant to be aware of it; we don’t normally think: “I have a body at my disposal” and with our “standard” education and conditioning we only talk about the body in scientific-scholastic language. They teach us where the lungs are, what they’re there for and what happens inside them but no one ever teaches us to actually be aware of, and feel them. Just think about the digestive system: anyone with basic schooling can give a general description of the organs and their functions, but how many people are actually fully present in their bodies when they go about nourishing it? Observe how you eat, or, if it’s easier go into a fast food restaurant at lunchtime. You will see hordes of automatons gulping down their lunch while they are busy doing something else; watching a video, talking on the phone, or producing chains of thoughts that are far removed from what they are actually doing, that is eating, an act of primary importance. We have all studied at least something about the human body in school and we all prepared ourselves at some stage to answer the questions on some class test. But once we passed, that information remained filed away in our minds on a rational level (not a sensorial one), and like good students we have kept it there, ready to dust it off if ever anyone should ask us about it in the future. In other words, the only knowledge we have about the bodies we walk around in, comes from the few pages of a book memorised by the brain. No one has ever reminded us of just one banal but vitally important detail: that we live in that body! It is our home, and we have an extremely direct and intimate relationship with it. I will try to explain better with a metaphor. Imagine that your body is like a mobile home in which you live and always bring around with you; imagine that you’ve just got back from your “morning class on your mobile home” where you’ve learnt that the muscles work by burning sugar and energy. Curious, you go to the kitchen to test what you learnt in the lesson; the motor of your muscles is represented by a pot, a packet of sugar and a gas ring. You pour the sugar inside the pot, put the pot on the gas ring, and light the flame; you have the whole gas tank to use for your experiment. As it’s a typically busy day you have little time and as you didn’t get all the information you needed on how to use the stove, how much sugar to use, and how to tell when the gas is almost finished, you turn the flame up to maximum with all the sugar in the pot. You don’t ask yourself if you need further instructions for the best way to heat it up; you find the shortest solution that corresponds to the lesson you learnt. After you’ve started your experiment you go to take a shower, tidy the garden, feed the dog, pick up your kids from school, and get to the supermarket in time to buy a barbequed chicken. In the meanwhile you’ve completely forgotten about the stove and the sugar in the pot. All this time, whilst you were busying yourself with thousands of tiring jobs, the sugar is burning up creating a horrible smell. You’re on your way into the office, but you haven’t even got time to ask yourself what the smell is and so you keep on going. After a few hours of work you’re surrounded by sticky smoke and then the gas in the tank runs out, giving off that sickly smell of propane. The smoke thins out a bit but you’ve got a bad feeling, so you go to your doctor who reassures you that: “It’s nothing just a bit of stress”. He prescribes three pills with a miraculous name that claim to dissolve the burnt incrustations on the pot, refill the gas tank, and replenish your sugar supply. Having taken the pills you feel safe to re-light the stove, but once again as you haven’t given a thought about the stove and the best way to use it, you turn the flame up to maximum. Again the sugar overflows and the story continues until the pot gets completely burnt, the stove top melts, and the gas tank can no longer keep its pressure. At this point there aren’t any more pills that are going to work; which means a serious malfunction, and hence the extremely appropriate term “burnt out”. In this metaphor you can see that the direct and intimate body-person relationship I mentioned earlier is in no way fluid and functioning. The person involved the body without really knowing it; damaging it as a result. Only we human beings exhibit this kind of schizophrenic behaviour; in the animal world it doesn’t happen. Animals function in perfect harmony and in symbiosis with their bodies, so that everything they do is geared towards nourishing, looking after, and protecting it. Man does not respect his body; he damages it and then sets up huge scientific laboratories where he searches for remedies to cure the damages he himself has caused. Once we’ve got to this stage, if we want to restore harmony to the body-person relationship, then it is vitally important that we acquire new information on how our motor works; on how to control it, and on how to relate to it. I myself “burnt out” many times during my first forty years, and looking back it even seems as though I did it deliberately and systematically. It may seem ridiculous but that is exactly the way it happened, as though I had to harm myself with devastating regularity. I would even keep the gas flame on maximum between one burn out and another so I was sure of getting to the next burnt pot in a hurry. I always pushed my body to the utmost and that sense of physicality made me believe that I was doing well; it kept me on a high and it made me feel alive. I got so accustomed to that way of living that I became totally incapable of turning the gas down, to be able to actually feel my body and consider about what I really wanted. For many years I was a consumer of drugs, alcohol and cigarettes without ever thinking (not even once) about the huge stress they cause the body. At the same time I played a lot of sport, especially football, training often and invariably smoking both before and after each training session. Obviously whilst playing I hurt myself; a broken nose, a fracture to my right cheekbone with stitches as well as a nasty fracture of the tibia and fibula followed by surgery. Very often instead of preparing for the match, the evening before would be spent partying and taking drugs. I’ve had a number of different jobs that I did not enjoy, during which time my body would regularly get ill, or else I would harm it through mishaps – even serious ones: I’ve had countless road accidents, even risking my life after one in particular when I lay unconscious for three days. When I was young, on more than one occasion I suffered violent head injuries leading to temporary loss of both memory and consciousness. The most dramatic reality check came when I realised, by looking closer at my daily behaviour, that apart from the most painful and memorable physical damage I inflicted on myself, I was also guilty of never respecting my body in a number of ways. I never paid any attention to its natural rhythms and energy levels. I have dedicated years of my life to spiritual research, meditation, and bodily relaxation methods in an effort to restore my health and, what’s even more absurd is the fact that through it all I kept up my destructive behaviour, without ever stopping to think about it or listen to the messages my body was sending. I invested almost six years doing trainings and various workshops in India, and I accumulated so much information on the human body and how to relax it that I even became a teacher of those techniques: I could give conferences on the workings of the body, and on our lack of awareness regarding it, and on how to get back in touch with it. I could teach it well and I could clearly see how incredibly effective these methods were on the people who attended my courses. I was genuinely appreciated by a lot of people, but as soon as I got out of the classroom, the first thing I did was to light up a cigarette and dive straight back into my restless and agitated life style, as soon as the nicotine rush kicked in after a few seconds. In my own daily life I never practiced the essence of the things I was preaching. I allowed the mind-set “you are always in the fast lane”, which had governed my existence for years, to continue dominating my life in spite of what I had understood and learnt. The way we treat our bodies reflects the way we treat ourselves and our lives in general. Superficially, I thought I was dedicating myself to my relationship with my body, but deep down I was still not choosing what I really wanted to do, and the way that best suited my being. I was reinforcing the same old values given to me long ago in my childhood, where I either adapted to other people’s circumstances, or else I only did things out of a sense of duty. Then, every so often when this programme of mine nauseated me, I would explode in a furious rage, firing off uncontrollable reactions that blinded me even more to what I was doing. With one hand I was trying to be gentle to myself while with the other I was punching myself in the face. In both cases I never chose; I didn’t even ask myself whether I liked what I was doing or not, and as a result, I certainly did not listen to my body. To listen to, and really feel your body, you must stop, and in order to stop you must give yourself the time to do so. Once you actually stop and listen to yourself, then you will automatically relax; you will even learn to recognise when you are not in a relaxed state. If you apply yourself to this sequence, you will write a brand new instruction manual on your personal soul-body relationship. If you want to activate your personal manual replacing the old school textbook, then you must choose to do the work. The school textbooks talk about the muscles or the lungs in a mechanical-scientific language, but you must be careful. The books talk in general terms and the muscles they are referring to are not yours. Your muscles are different from those of any other human being, and they work best in highly specific conditions relative to their ideal temperature, nutritional requirements and rhythmic balance. These are all details that only you can know, and the way you learn this is through your presence, dedication, and sensitivity. No one can tell you how you function or which working, breathing or walking rhythms are best for you and your body. Only you can perceive the food that is healthy or harmful, let alone when and how much you should eat. Only you can know how many hours of sleep and how many rest-breaks you need during the course of your day. If you want to continue living, or rather, start to improve the quality of your life, then you must start learning how to develop an awareness of your body and there is no alternative. What could be more stupid than paying a diet guru to prepare your menus if you don’t then take the time to listen to your own body’s reactions? Who’s the one living in your body anyway, you or him? Furthermore, the body always keeps us informed in real time about what we are doing or living. If you pay attention to some of the signals that your body gives you repeatedly in certain circumstances, then you will have noticed how it contracts when it finds itself in unpleasant situations (classic examples are the tightening of the stomach, blocking your jaw muscles, rounding your shoulders down and putting all your weight on only one leg). On the other hand when things are going well then you will have noticed how your body expands and stretches itself out, your posture straightens and your belly relaxes. Learning this very personalised map that your body shows you is like having the access key to your personal behavioural codes; knowing the body’s reactions is like having a tool to know how to evaluate and choose what our course of action will be (“Yes, I can talk to that person but only if I stay 3 metres away from him”) and so we can respond to any given situation guided by this self-respect. How do you learn to respect your body? How do you harmonize the relationship between the two of you so that it will last your whole life? To tell the truth, developing this relationship is one of the simplest and most natural things you can ever do. Haven’t we already said that the body is like your mobile home that you take around with you wherever you go? Good: then let’s go in and see, breathe, and feel what it’s really like inside there! Dedicating time to listening and to talking to the body, and making this a daily ritual.Obliging yourself to acknowledge and eliminate your bad habits. For example, if you are feeling tired and strained then stop what you are doing! If you find yourself stiffening up to get something done, stop and listen; maybe you don’t like doing it (and you can stop…), or else you can find a new way of doing the same thing with a more relaxed body.Eliminating any kind of excuse that prevents you from dedicating yourself to the previous 2 points. Inspired by my son Ciro, I’ve decided to begin the series of exercises that we will do together in this manual by paying homage to the body. One morning while I was playing with his tiny three-month-old feet, I fell into contemplating the miracle that they were growing and that they were moving; afterwards I asked myself how many times in my life had I ever massaged my own feet, only to realise that I had taken my motorbike to the mechanic more often. If your body gets sick, it forces you to remember it, and, if I can give you some advice, then I suggest you make this remembering a daily ritual; the motorbike, the car and everything else can wait, because without a functioning body then you can’t even drive them. We usually take it for granted that our body works and does its duty, which is why we don’t consider how much we ask of it. The paradox is that we are always slightly worried that something serious might happen one day, threatening the certainties in our lives, and often we end up running to the pharmacy in alarm. So to sum up, while our body is working for us, we pay it back with stress, smoking, alcohol, medicine, unhealthy food and worries. Not bad! It’s no wonder we get sick! However, I believe that the worst treatment we can give our body is to forget it, taking it for granted, losing our awareness of it and our sensitivity towards it. How do you think your body feels when you forget it and you never look after it? You and your body are a team. Imagine doing a job working in close collaboration with someone, and suddenly that partner forgets you, leaving you there to go on with the task by yourself; how would that make you feel? Happy? As the most recent discoveries in quantum physics show, the way we think changes our psychophysical state, even changing the body’s chemistry at the cellular level. So it’s of vital importance that we speak to our body with healthy thoughts (not worries): thoughts conducive to relaxation, thoughts that show our body that we are present, that we love it, and that we want to experience moments of pleasure and enjoyment. In this way our travelling companion will be happier and more gratified. This is not a guarantee of healing or of wellbeing. It may happen that a person might have great sensitivity and awareness of their body, but gets ill all the same. However, in my experience I have seen and verified how remembering my connection with my body enormously increases my ability to relax, as well as raising my perseverance and my pain threshold. I’ve also noticed how talking to my body has cultivated a sense of gratitude and self-love which are fundamental factors in the healing process. I invite that you do the following exercises. Do them every day; do them even more than once a day. I urge you to respect your body, whether it is healthy or diseased. But especially if you are ill, then give your body a strong sign of your will, and break off all your toxic habits such as smoking, alcohol, too much medicine or unhealthy food. Remember that your body is your travelling companion; treat it as you would want to be treated yourself. This first exercise is to stimulate the “active” and “conscious” parts of yourself. Get into a comfortable position, sitting or leaning back. It is best to avoid lying down to begin with as you may fall asleep, and it’s important that you remain alert whilst relaxation is happening. In this exercise you will practice presence and being aware of yourself and your body. Use the words as your guide and your visualisation/imagination to “see” the places you visit. Then use your breath to expand your perception of those places. Make sure you are not disturbed during the exercise and allow yourself a minimum of 15/20 minutes to do it. During this time it is very likely that your mind-body system will slow down: enjoy the relaxation! If you should “drift off” and lose your focus for a while… then start off where you left off as soon as you notice. Following the example below, let’s start our journey. Put all your concentration there, visualising yourself zooming in on your feet as though you were a video camera bringing your feet into focus. Remember to use the words “now” and “this very moment” as the body can only understand the language of the present tense. Then guide your breath on a journey through your body, breathing into your feet at least twice. Explore inside your body with the eyes and the sensitivity of an innocent child and perceive the way your presence is amplified in your feet. Observe how your perception of them changes, and how the outer limits seem to expand and their dimensions increase. Using your own words continue travelling upwards, slowly distinguishing each part of the body right up to your head. It is very important to allow yourself a pause between one part of the body and another as we need a bit of time to “feel” what is happening while we carry the torchlight of our awareness around with us. When you have finished your exploratory journey, allow yourself a bit of time to feel your body, giving your mind free rein, resting and enjoying the present moment. As you practice the previous exercise you will see for yourselves the kind of effect your words have on your body when combined with a clear and conscious intent. The word is an extremely powerful tool. Just as we are often unaware of our body we are often unaware of the language we use and the effect it has on our biology. By language I mean the way we communicate with the outside world and the way we think and “speak to ourselves”. Remember that the words you normally use become an input for your body because your body is always there with you, and as a result it hears everything you think and say. As your body is an efficient servant, it sets to work straightaway communicating to its cells the words it has heard, and adapting itself to the quality of those words. Some time ago I read a book by Bruce H. Lipton entitled “The Biology of Belief” which magnificently illustrates how the cells of our body mutate according to their surrounding environment. The environment around these cells is made up of the persons’ way of thinking, by their attitude towards themselves and their life; by the food they eat, their sensitivity towards their own body, and by the way they communicate. Laboratory experiments have shown how the health and the good-working order of each single cell depends on a good surrounding environment. Furthermore, we need to remember that when we are “asleep” to ourselves, our mind keeps itself busy with a constant and chaotic flow of thoughts. It is a consummate ocean of words that we force our body to listen to passively, and for many of us it becomes the norm. Unfortunately, the habit of that continuous chatter often dominates our will, preventing us from freely choosing what we need to create a "good environment". It conditions our actions and thus our psychological and physical health. The mind busies itself with a chaotic flow of thought which follows its own logic. Our senses are constantly stimulated by external impulses: these impulses are “read” and “translated” by the brain which then associates them with the similar experiences we have lived in the past and which have been memorised in the unconscious mind. The memory (including images and sensations) that is chosen by the mind as the most similar to the outside stimulus, is reproduced in turn much like a video clip that we see on an internal screen. All these stages take place at the speed of light due to neurotransmitters. In the same way, the sensory stimuli we perceive correspond to the reproductions on our internal screen, and this process happens continuously. Now we can start to understand the chemical chain of reactions that occurs as a result of our thinking and speaking. All the memories we have stored, whether pleasant or unpleasant, are associated with the state of mind we were experiencing during the event. The state of mind in its turn, is associated with physical sensations, and the physical sensations are determined by the production of specific chemical reactions which the brain controls. For example, if I ride a bicycle for twenty kilometres I will produce endorphins that relax the body and give a pleasurable feeling. If that bike ride takes place in the middle of nature on a beautiful sunny day then it will probably generate a positive joyful state in me. What happens when I tell a friend about that bike ride? I re-evoke the visual and auditory memory together with the physical sensations and the chemical reactions produced in my brain. When talking about the event I feel the same sensations, slightly less clearly, and because it was a pleasant memory, the whole thing puts me in a good mood. In the same way, the next time I go out on my bike, my mind-body system will associate my intention with that pleasant memory and it will get itself ready to enjoy those sensations once again. The same thing obviously happens with negative memories. Our psychophysical health thus largely depends on our habit of “fishing” from our memories. If we have the tendency to be negative then we will often go “fishing” for negative memories, and will reproduce chemical reactions in the body associated with that state. If on the other hand we are more joyful, then our thinking habits will be mainly oriented towards the memories of pleasant and positive activities; allowing us to replicate the pleasant and joyful physical sensations too, together with the chemistry associated with them. I’ll let you decide which of these two habits is healthier. So be aware, if you have the habit of talking and thinking using a lot of negatives or sentences over-ridden with pessimism, then will be creating a negative environment and inundating your body with negativity. What’s the benefit of this kind of reality for your body? When facing up to an illness it is very likely that your mind creates scenes of a black future: that it generates complaints and that you surround yourself with people who think and communicate in the same way. Obviously this attitude won’t help the healing process; on the contrary it will confirm to the body’s cells that your illness is justified and that you don’t want to improve your actual situation.